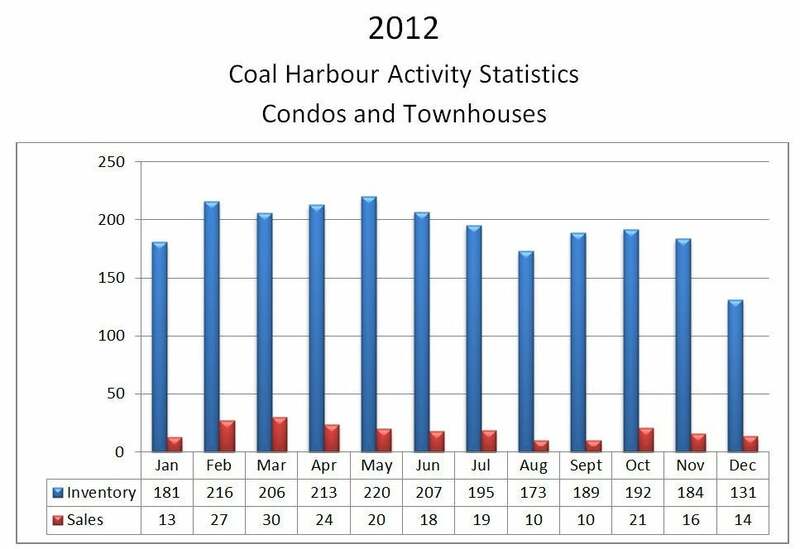 In 2012, Coal Harbour condo and townhouse market finished at 222 sales with an average sale to inventory ratio of 9.62%. This ratio was below 2010 and 2011 average, and was below the range of balance market of 14.0-21.0%, which certainly labels the Coal Harbour market as a Buyer’s Market. The least active months of the year were August and September with only 10 sales and the most active was March with 30 sales reported.